Oh it's everyone's favorite Friday of the month...not just any ol' Freebie Friday, Freebie Friday with Lori Whitlock!! The last Friday of every month we partner with one of our favorite designers and she never disappoints. This week Lori's sharing a free Father's Day card download. I mean how cute is this Fishing Vest card?! I love it and it's so perfect for dads! 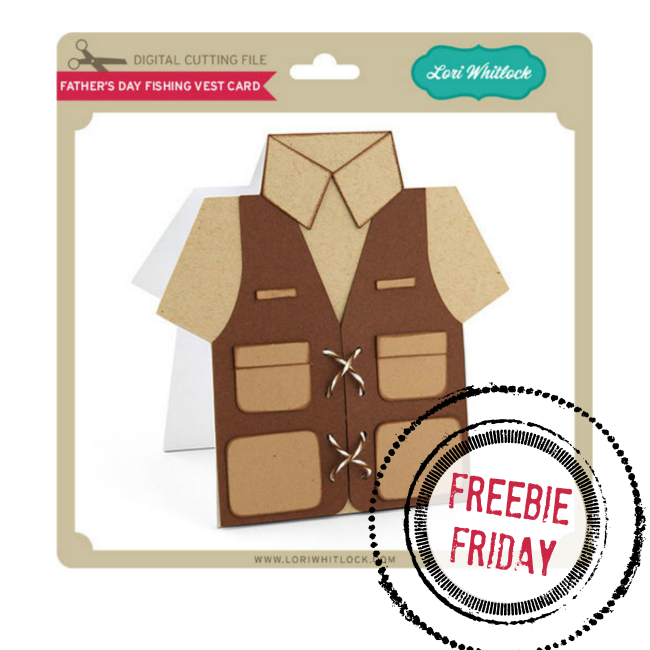 All you need to do is head over to Lori's shop and download the free Father's Day card design. It will only be free for Silhouette School readers for a few days so hurry! Please remember, this file is free for personal use only! IF you'd like to share, please s hare the link to this blog post not the actual file itself.